Office Pro reporting provides agent reports in order to manage team members and activities. This allows activity and call reporting on staff members who either use the same phone every day or login to different phones with an agent ID. Reports can be generated at any time or be set to run automatically and be sent to a file location or an email box. An example of a summary agent report is shown below. 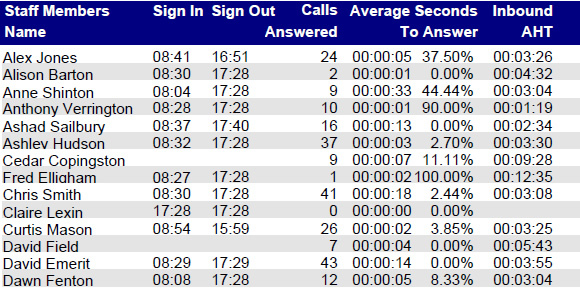 This particular report shows what time each person logged in and logged out for the day, how many calls they answered, how quickly they answered calls, their average inbound call length …. …. 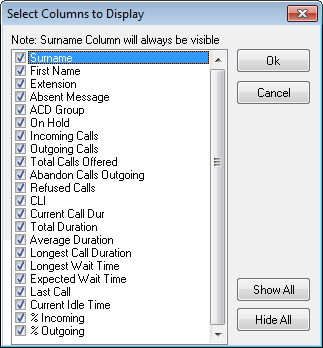 how many calls they made, their average outbound call length, how many calls they transferred to others, their total inbound and outbound talk time for the day ……. …. and importantly, how long they were in each break mode. 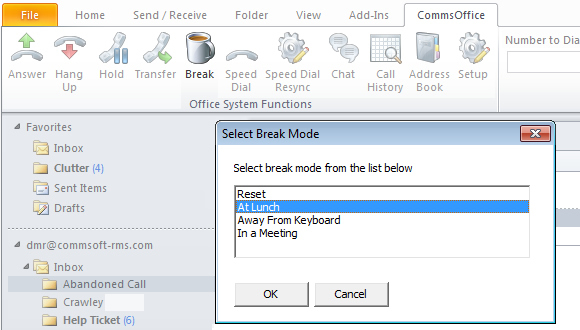 Break modes (that can be easily configured) are either set or cancelled by each user using the Break Mode application which is easily accessible in the System Tray. 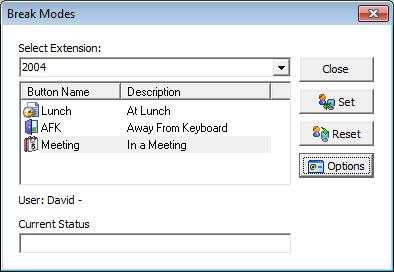 Alternatively, users can set and cancel Break Mode from within the CommsOffice tab of the optional Outlook tool bar. 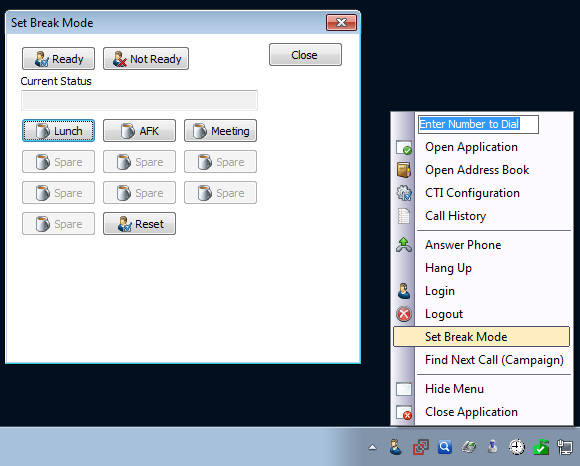 Break Modes can also be set from within the CTI client.